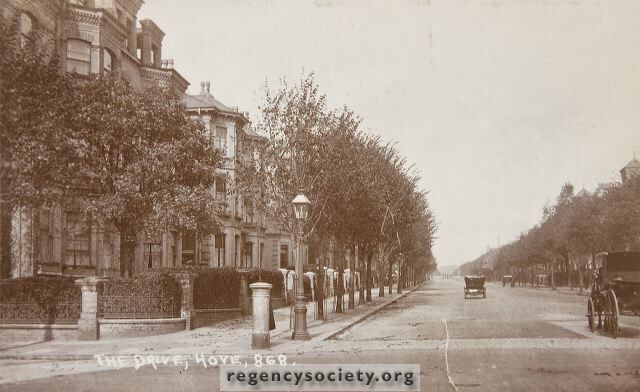 Hove Civic Society is campaigning for more street trees for all the obvious reasons of increasing bio diversity, improving the street scene and others. They have recently launched a plan to restore the Victorian street tree heritage. Their aim is to recreate the much more dense and complete street tree coverage that was envisaged when the Victorian estates were first built. They have been fundraising for the project and recently have received a small grant from the Council to start rolling out the campaign. Basically the plan envisages an annual planting scheme ideally of some 100 trees pa, involving local communities both in terms of choosing locations aftercare,and fundraising for future years planting. For the next season they have enough funds to generate planting of some 20 street trees, a number which they hope to increase over the years. If you are interested in getting involved please contact the Chairman of Hove Civic Society: helmut.lusser@globaltolocal.com You can find out about the work and aims of Hove Civic Society on their website. May I first declare an interest – I am a life member of the Hove Civic Society. If it had not been for the actions of the Council 100 years ago, Hove would not be what it is like today. It is vital that our treescape is both protected and enhanced. The problems with Dutch Elm over the years has of course been a great challenge – whilst I feel the elms must be protected, I do feel that different types of tree should be provided in order to provide some “insurance” for the future.